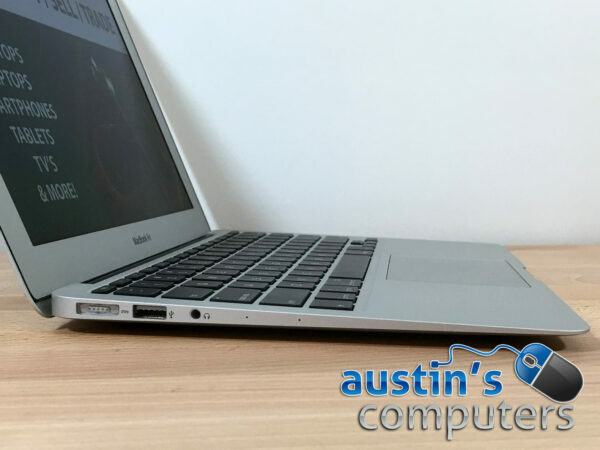 Thin and light, this Macbook can go with you everywhere. 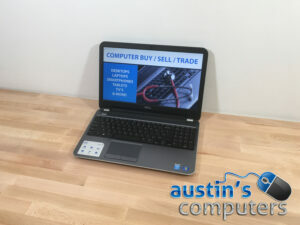 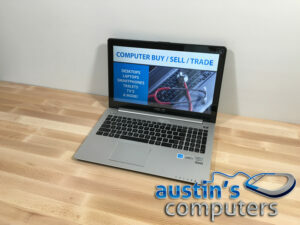 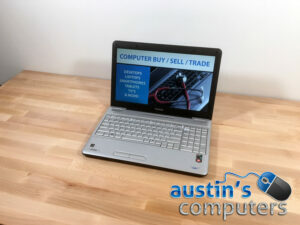 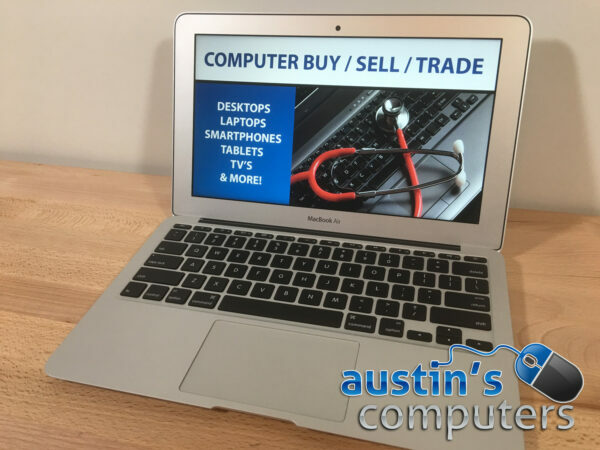 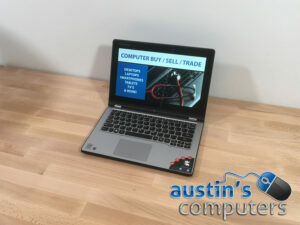 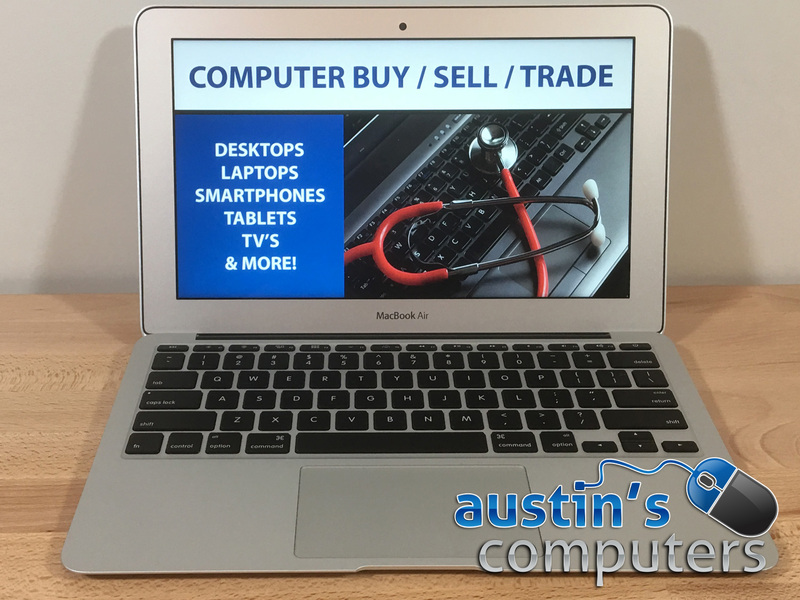 It’s 11″ widescreen display is crisp and the colors vibrant, and with a fast dual core processor this computer is able to do the basics and more! 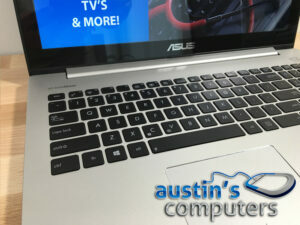 With a fresh install of Mac OS 10.11, you’ve got the latest software powering this Macbook Air. 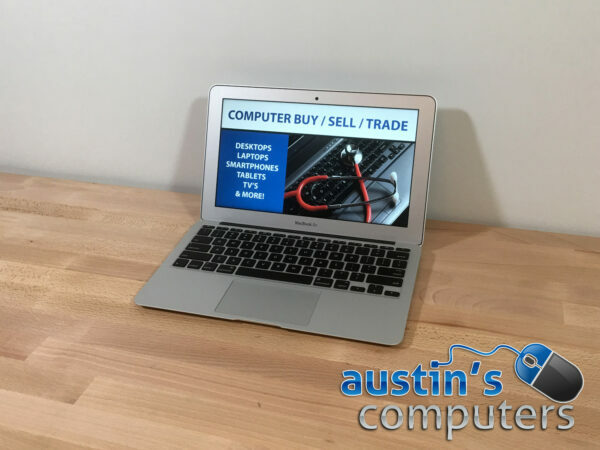 This laptop is just waiting to provide you years of trouble free service, and with a free 30 day warranty you’re protected against getting a lemon. 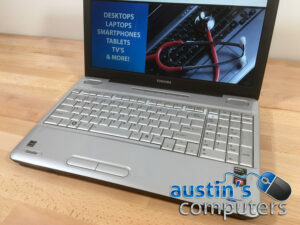 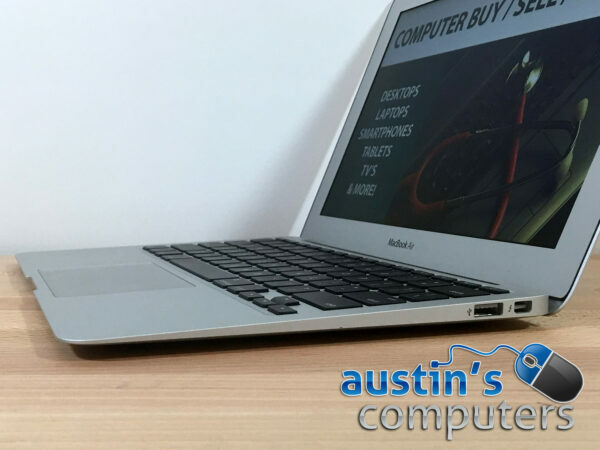 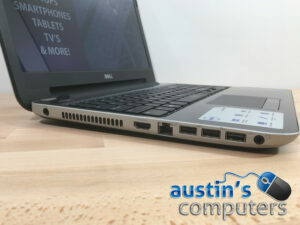 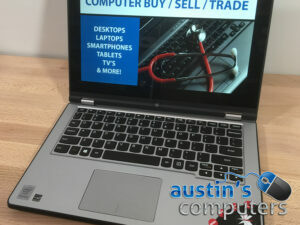 Its hard aluminum shell protects the laptop and provides a sleek, modern look whether you’re at home, work, or school.